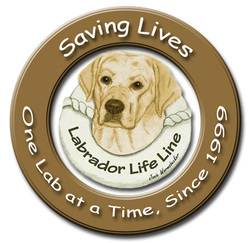 Labrador Life Line recognizes the tremendous need to aid those purebred Labrador Retrievers in need of new homes, urgent medical care, or other assistance in order to live a full and productive life. Too often these needs go unaddressed, resulting in the needless suffering and death of America's most beloved canine companion. Labrador Life Line is determined to alleviate such tragedies through the efforts of its volunteers wherever and whenever possible. These dogs simply deserve no less. Southwest Pennsylvania Retriever Rescue Organization or S.P.A.R.R.O. is not your standard rescue, we are a temporary home for wayward, abandoned, unwanted or abused dogs. All dogs that enter our organization are treated as members of a family. They are not sentenced to days upon days locked in crates and kennel runs. We have approximately three acres fenced were the dogs can run and play without any restriction. Dogs that do not get along with the others may spend part of the day in a run, but are taken out and allowed to run for a minimum of 4 to 5 hours per day. At night all dogs come into the house and interact with us, just like they were going to stay forever. Some do stay forever! If a dog is found to not fit in after several attempts at placement or no interest is shown in a particular dog we just make room and he stays for the remainder of his life. S.P.A.R.R.O. IS MOST DEFINITELY A NO-KILL ORGANIZATION! We attempt to crate train all dogs as well as teach them basic commands and how to walk on leash. We strongly believe in the gentle leader and can arrange to supply one with dogs that are adopted. We are a national not-for-profit organization that offers dignity, hope, and independence by providing highly skilled assistance dogs to individuals with disabilities and uniquely trained therapy dogs to serve the community.